In addition to Planning, Conservation Area or Listed Building Consent, Building Control Approval will be required to ensure compliance with the Building Act 1984. We are able to provide detailed construction drawings/details and prepare and submit Building Control Applications to Local Authorities to ensure the necessary consent is obtained without problem or complication. 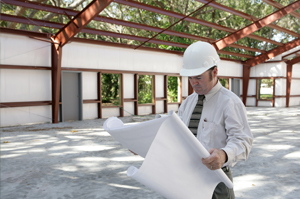 We also work closely with a number of Approved Inspectors who are able to execute the Building Control approval process. All our Approved Inspectors are members of the Association of Corporate Approved Inspectors. We have also successfully assisted a number of clients in obtaining retrospective approval where they have carried out construction work without securing Building Control Approval in the first instance. If we can assist with your Building Control requirements, please do not hesitate to contact us.